Purposeful Planning will help you get the results you want. This issue still contains all of our original material. With the help and encouragement from our faithful readers and people who have put these methods into practice in their own families, we have added even more suggestions and ideas. We have also added more thought-provoking questions to help you to relate well to each other and your children. The goal is still the same: to discover the Lord’s plan for your family. Do you need a plan to keep your family moving in the direction the Lord is leading you? Perhaps you don’t know where the Lord is leading you. Phyllis takes you step-by-step through the process of planning a time together for your family to help determine the path the Lord is choosing for each area of your life. Her family has followed this format for over 20 years and has found that it provides the compass they’ve needed to plan and stay on course. 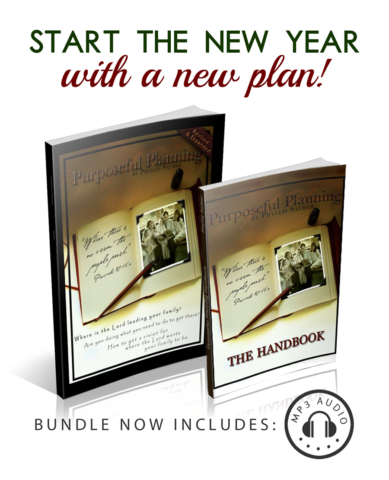 Purposeful Planning is now available in Kindle format on Amazon. I LOVE it – great idea and all of the “how to” is included. Fabulous job.- Lorrie Flem of Eternal Encouragement magazine. 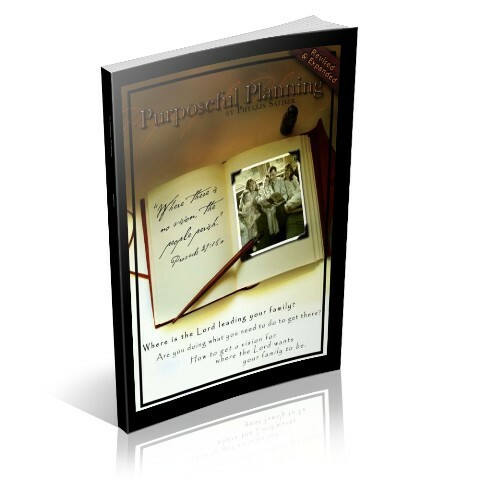 Military persons and their families can always get a free e-book or MP3 file of Purposeful Planning. E-mail me for your free book and/or the password to purchase one of the items below at the reduced price for military families. Finally, for all you busy moms who just love to multitask, Purposeful Planning is available in MP3 format. This bundle includes all three items listed above but at a savings of $7.90.